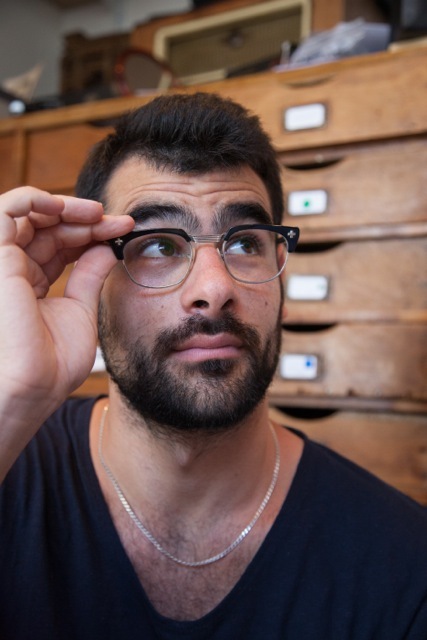 « Wild about Glasses » started with two things that I, Dan Alcabes, as its founder observed. One observation was that when you tire of a pair of glasses, or they get damaged, you just throw them away and get another pair. It’s the end of their life cycle and they wind up in a dump. So, I asked myself, why sell a cheap imitation or a copy, when I can provide the original, the real McCoy ? Having founded « Wild about Glasses », I looked for, found and selected frames that date back to the 20s. I polished and restored them offering something that looks brand-new at a reasonable price. The other observation was that we live in France, in Europe, or in some other Western country but most glasses today are being « made in China ». 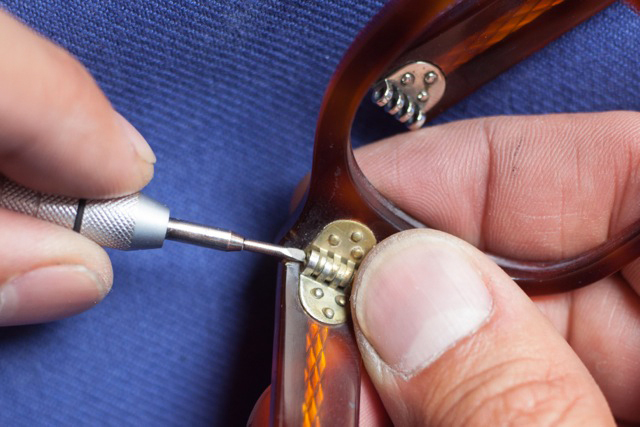 Why allow glasses to be made there, using cheap materials and cheap labor, if not the equivalent of slave labor ? 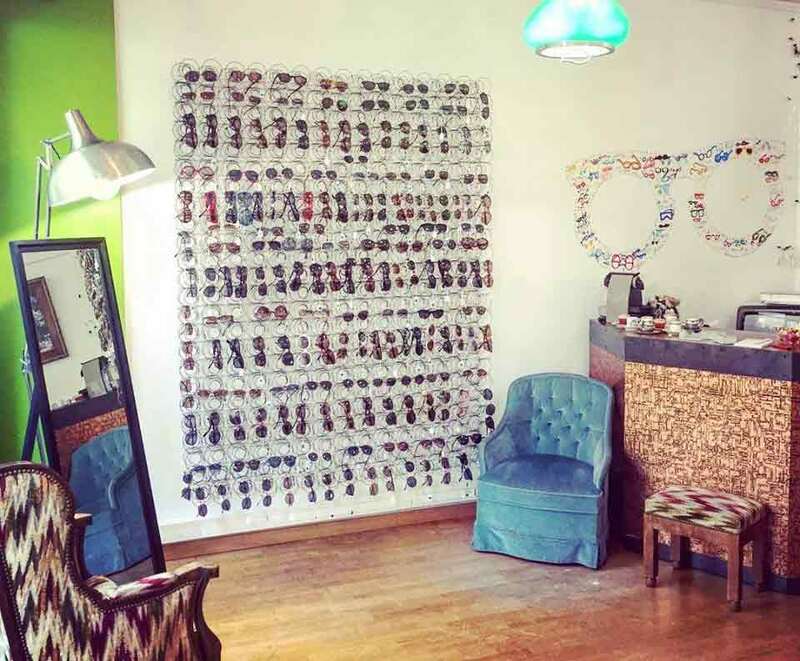 Why not recycle and restore these incredible and amazing glasses and do it right here? So, « Wild about Glasses » found the answer. 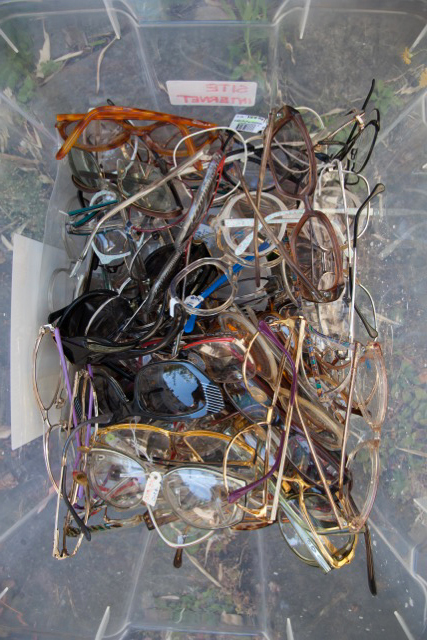 I and my fellow opticians came up with a responsible and an eco-friendly solution: recycling. Our concept targets both those who are wild about glasses and fans of vintage and those with a Save our Planet, Green philosophy. We get a lot of pleasure, a real kick, out of seeing you wear a unique, one-of-a-kind pair of glasses from yesteryear that’s more « in » now than ever! ! My name’s Dan. I’m 30. I obtained a 2-year optician’s certificate and accreditation then went on to get degrees in Optometry and Contactology from France’s prestigious Nobel prize-winning Université d’Orsay. Then I worked for five years for a small independent before I founded and launched my own optical company, Dingues de Lunettes, in a Paris working-class suburb. That was in 2007. I’d already been collecting, recycling and selling old watches for a long time, seeing what treasures I could find at garage sales, flea markets and country fairs. I always kept an eye out and on the best I could find. Then I had this idea, why not recycle glasses too ? So, what had been a passionate hobby and pastime of mine suddenly became a new unheard of before business venture. I felt like I had stepped out on the Moon, taken a great leap forward for mankind, or, at least, in the interest of many. In addition to the French look, like vinyl, you can’t beat the quality and the reliability of eyewear that dates back to the 20s or to the 50s and 60s. These glasses were made to last, usually made so much better than most are today. Look at the craftmanship, that design ! 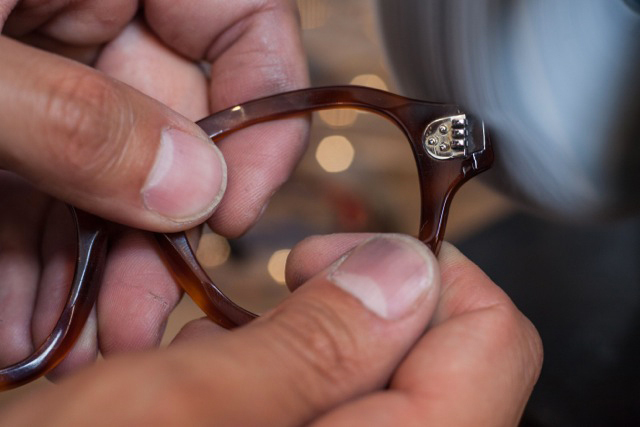 We repolish and remodel all types of frames – metal, acetate, wood and horn. 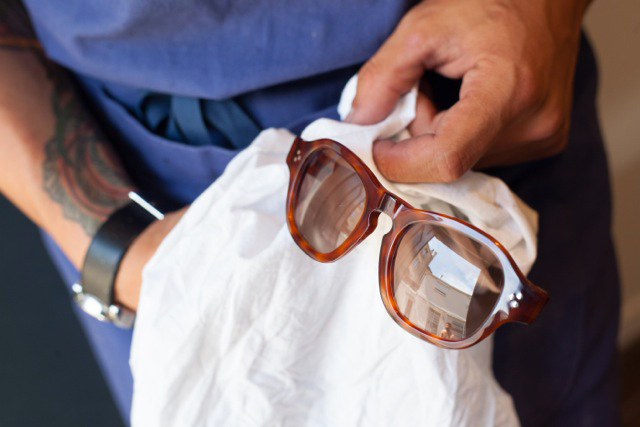 Imagine trying and putting on a pair of tortoise shell or buffalo horn glasses. We also work with Woodlun’s, genuine wood glasses handmade in l’Ardeche, in the south-east of France. It’s the only place in Paris you can find them. Et voilà. Cannes and Hollywood are yours. The world is at your door, is your oyster ! We’re not into delocalization. We’re into creating a community, a spirit, a mind-set, making « Wild about Glasses », our eyewear store near canal Saint-Martin in the heart of Paris an eco- and a people-friendly venue, offering quality optics, quality products, from the 19th century unifocal to Essilor Varilux, the best in state-of-the-art progressive lenses, with three highly-qualified opticians to serve you. At « Wild about Glasses », hand craftsmanship begins following a rigorous selection process, based on three elements: the quality of the materials used, the quality of manufacturing and a highly-informed sense of esthetics. We dismantle and take apart the frame, go over and check each piece one-by-one, as if with a fine tooth comb, then put them all back together again step-by-step. Everything is meticulously polished and repolished, removing any trace of even a micro-scratch. Your frames – their colour, nosepads, hinges – are born again, come alive! This is thanks to a series of rigorous control checks. And our sophisticated optical equipment. Our finished product is impeccable and meets the highest standards! ESSILOR lenses created and are N°1 in progressive lenses, and we do the cutting and the grinding of the lenses here in our workshop. In that magnifique frame, your lenses find a welcome home. Restoring a frame takes just 45 minutes. Try on a pair of our stylish 100% UVA/UVB-filtered sunglasses. 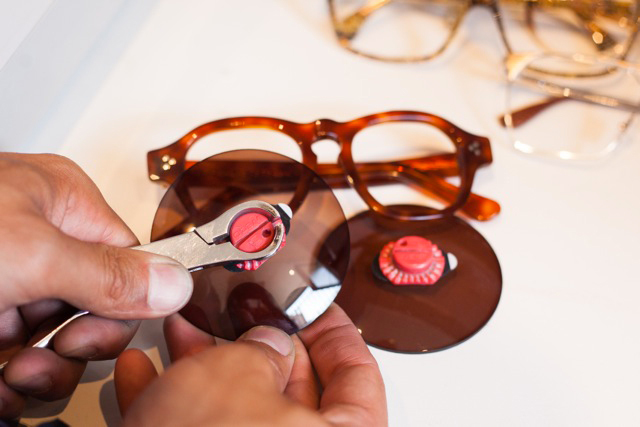 Like all our glasses, our prescription glasses are thoroughly optically checked. At « Wild about Glasses », you’ll always receive an ESSILOR certificate of excellence with the details of your prescription on it. Our professional services include providing you with highest quality of ESSILOR Varilux lenses within 48 hours as well as a detailed bill and a copy of your prescription, which allows you to be properly reimbursed by CPAM and your life insurance firm. 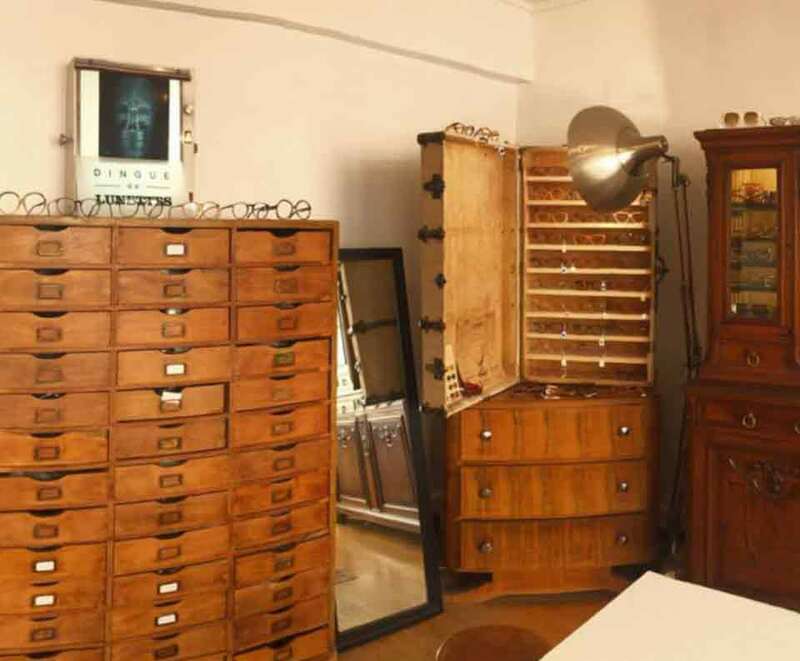 « Wild About Glasses » also offers Vintage-Glasses-For-Sale Or For-Hire rentals to film production houses. Whatever you’re shooting, we have the right pair of glasses for you. « Wild about Glasses » is committed ! « Wild about Glasses » actively supports and encourages the NGO, MUSE AHP MSA. The American Hospital in Paris, located in the suburb of Neuilly, established the volunteer association in 2008, with the aim of teaching and training volunteer medics to perform different types of medicine including, pediatric, obstetric, and geriatric surgery, and that they would in turn teach and train doctors in emerging countries how to best treat local populations faced with serious diseases and serious health issues. This transfer of knowledge and medical expertise will enable local doctors and medical professionals to use the new medical equipment, technology and medicine also being supplied, and ultimately to help their own people. In other words, we are for sustainable development through a medical program of long-lasting benefit. From Wednesday to Saturday from 11 am to 7 pm. 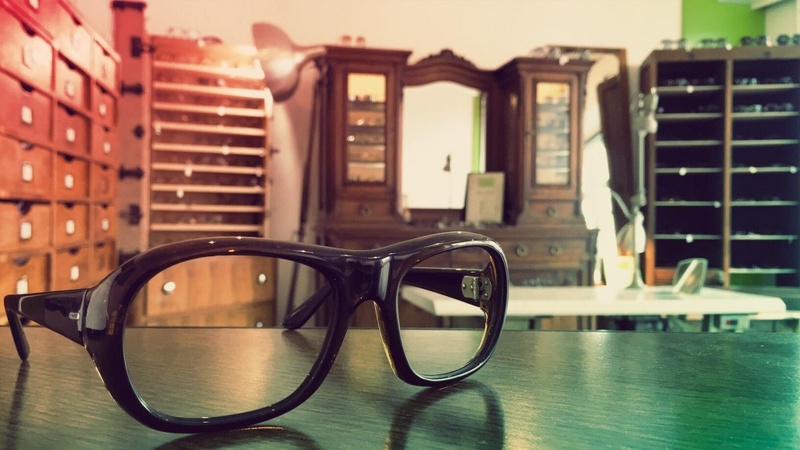 Our Wild About Glasses store and workshop is at the same location offering you the highest quality in optical lenses and services which includes restoring your Vintage frames and giving eye tests too. Come in and discover our huge collection of Vintage models. We are open from 11 AM to 7PM.